Valentine’s Day is nearly upon us. 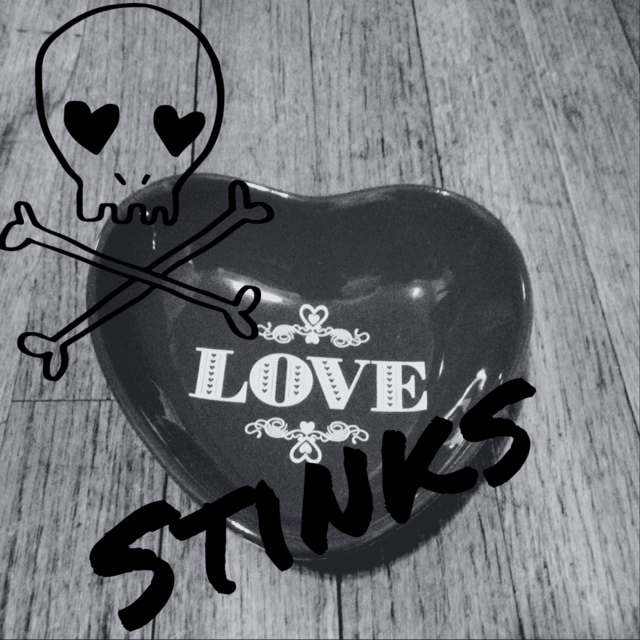 Whether you are all for roses and heart-shaped candies or think Cupid is Public Enemy Number One, I have some music selections for you. Here are 14 songs about how terrible and painful love can be. All are available to borrow from the library or through interlibrary loan. Obviously this song, which is on The Blueprint, is from the ante-B&BI (before Beyonce & Blue Ivy) era of Jay Z’s life. A lesser-known kiss-off track from Fleetwood Mac, whose album Rumours included several of that theme. Countless teen girls in the 1990s have recovered from heartbreak by listening to this song. Some 1990s girls sobbed to “Don’t Speak”, but some raged to “You Oughta Know”. “Wrecking Ball”, while honest and raw lyrically, may be too down-tempo for twerking. P!nk makes the single life look pretty fun in this video. For those who wish an ex would vanish from the planet, this one’s for you. The lyric “Sorrow’s a girl inside my cake” succeeds in making cake depressing. A breakup song that gives a history lesson with a danceable beat. A retro fabulous song by a scorned lady–the back-up singers make this track. This song was first performed and written by Dolly Parton, but Whitney Houston made it soar. Do you remember this band from the 1990s and this catchy song? Fiona Apple provided a steady stream of songs for wronged women in the late 1990s. A simple, bittersweet song from Cyndi Lauper’s classic album, She’s So Unusual. This is one of my favorite breakup songs, which exists on a Wale mixtape that the library doesn’t own. (Sorry.) As the video is similar in theme to (500) Days of Summer, an excellent anti-love movie with an equally excellent soundtrack, I can recommend those instead. Please come back next week, on Valentine’s Day, for 14 love song recommendations. Kerry: You forgot Paul Simon’s “50 Ways to Leave Your Lover.” Probably the most famous.